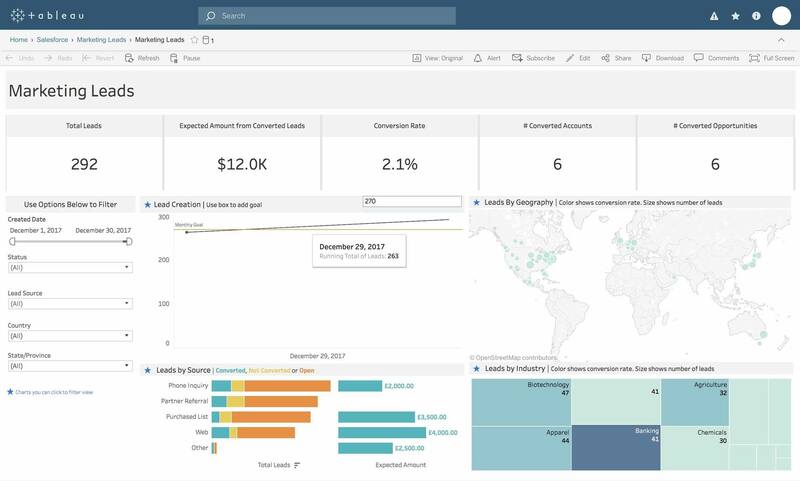 Dashboard Starters are designed to help you hit the ground running with actionable data in minutes. 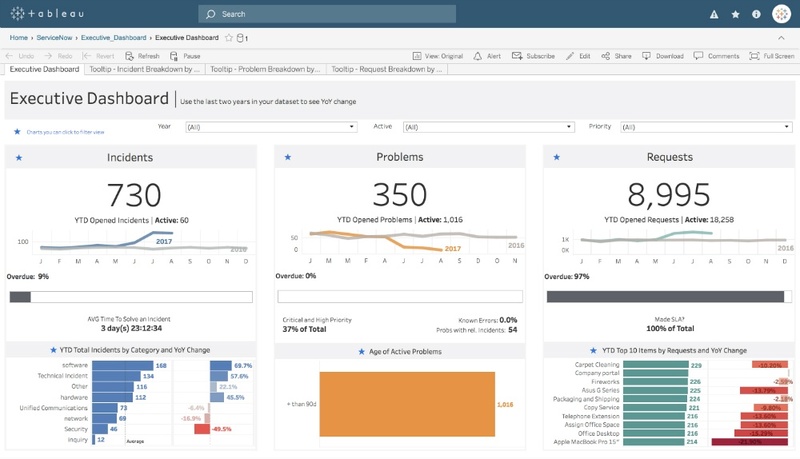 In just a few clicks, you’ll be able to connect to common enterprise applications and create beautiful, data-rich dashboards seamlessly. Sales has always been about the numbers. 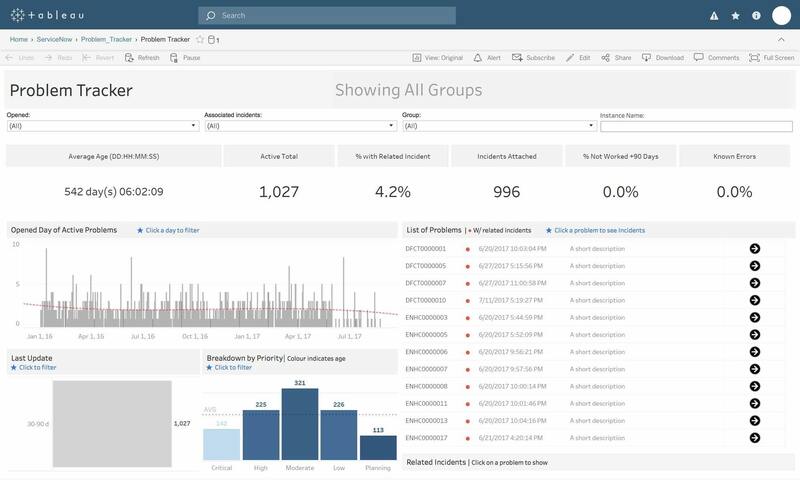 From how much ahead of quota you are to the size of your pipeline, your sales team lives by these metrics. 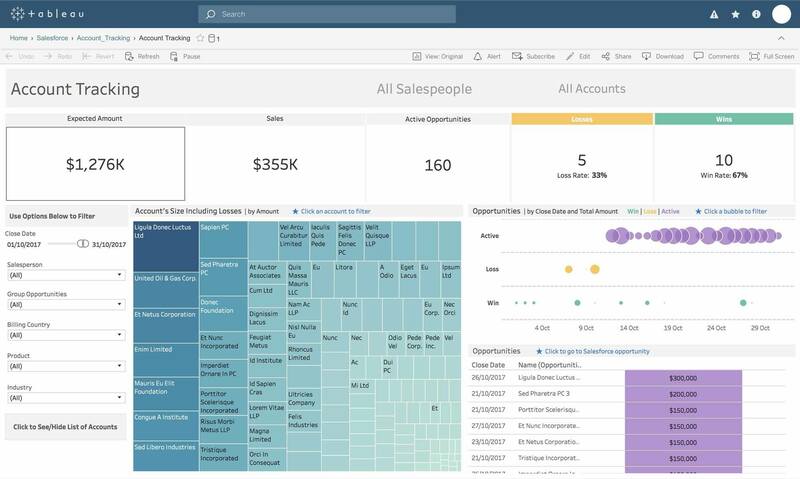 Visibility into what’s going well - active opportunities are up 12% this quarter - and what could use some improvement - loss rate increased by 5 points - is critical to having a world-class sales department. 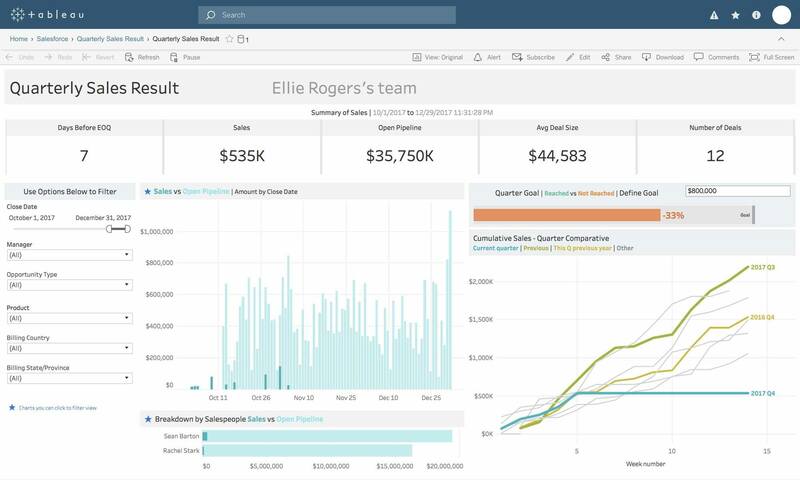 With Salesforce Starters you’ll be able to fine tune your sales funnel, better support your sales team, and unlock the power of your own sales data faster than ever before. 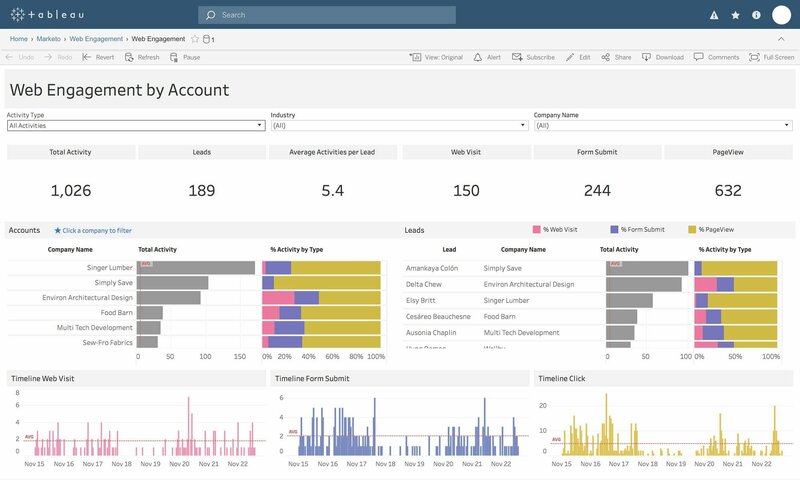 You’ve got a lot of data in your marketing automation platform. 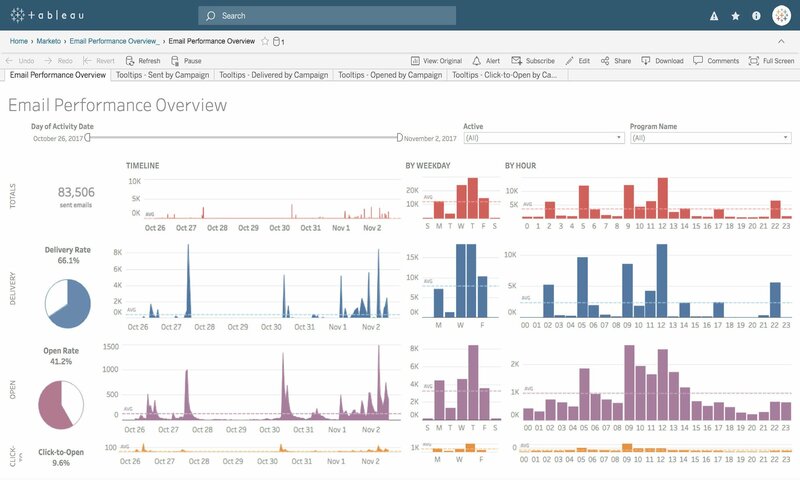 Every time someone opens one of your emails, clicks through to your site or fills out a form tied to a campaign, data is flowing into your system. It can be overwhelming if you don’t have the right tools to analyze it. 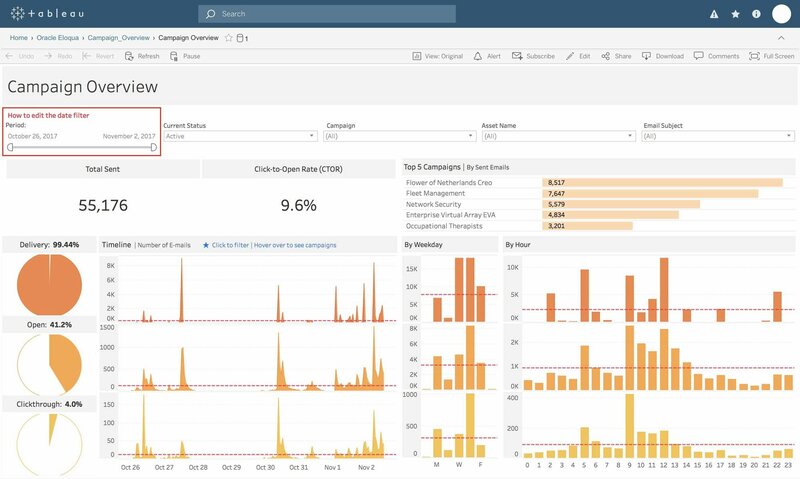 Go from 10,000 feet to deep into the details of any campaign. Understand how a single customer or how a whole industry is consuming your content. No need to fear the data you have. 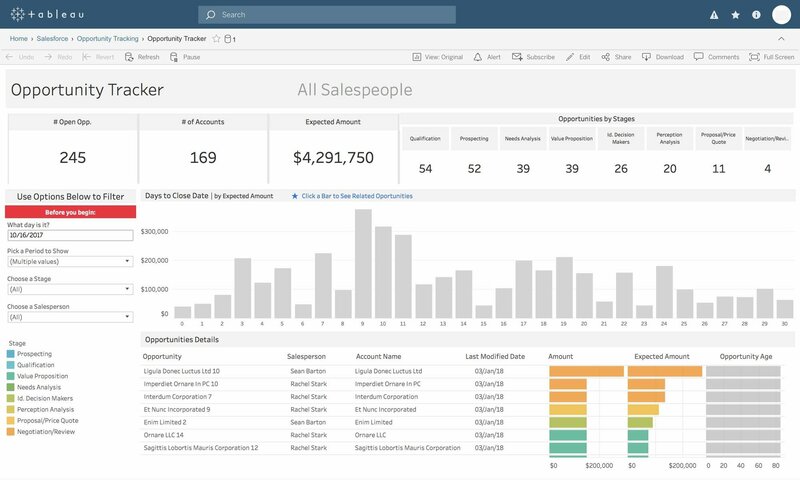 Oracle Eloqua Starters will take you from data to insight to action in moments. to use on your own data. 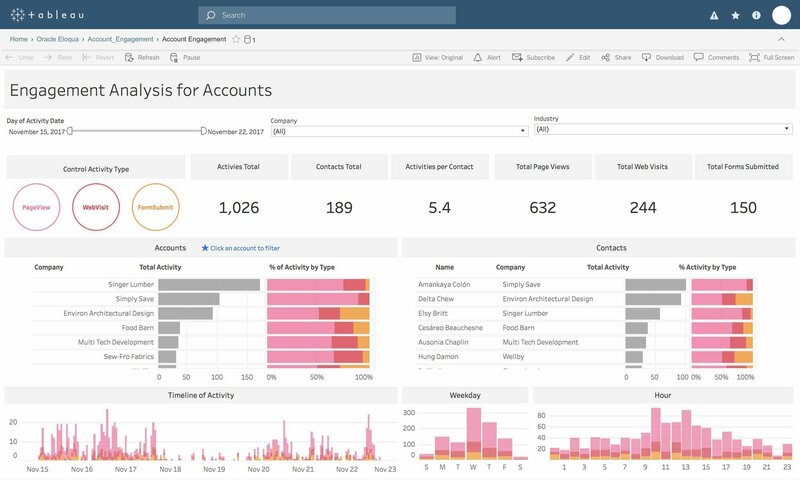 Create beautiful and insightful marketing dashboards with just a few clicks. 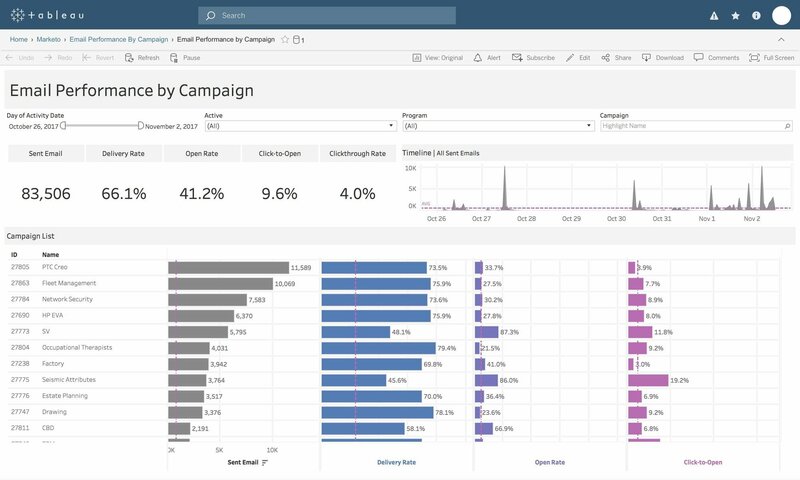 See and understand your data around campaign performance, customer activity and website engagement. 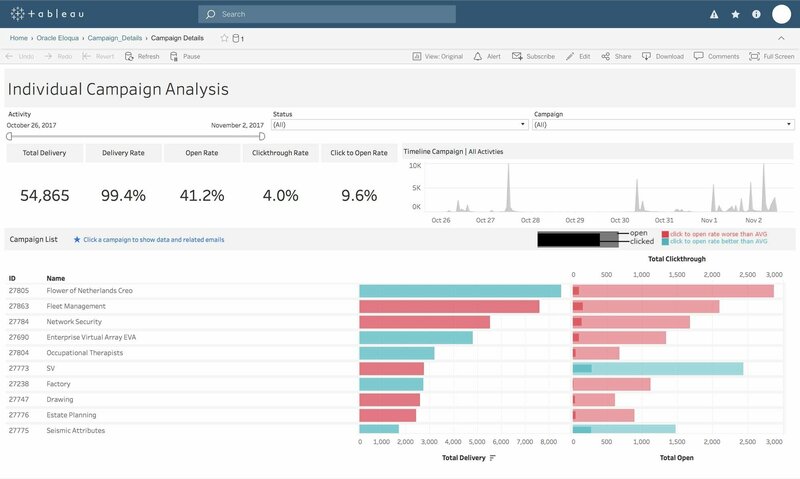 Pull together your marketing automation data into visualizations that help you see what tactics are winning over converts and what messages are getting lost in the mix. But don’t stop there. 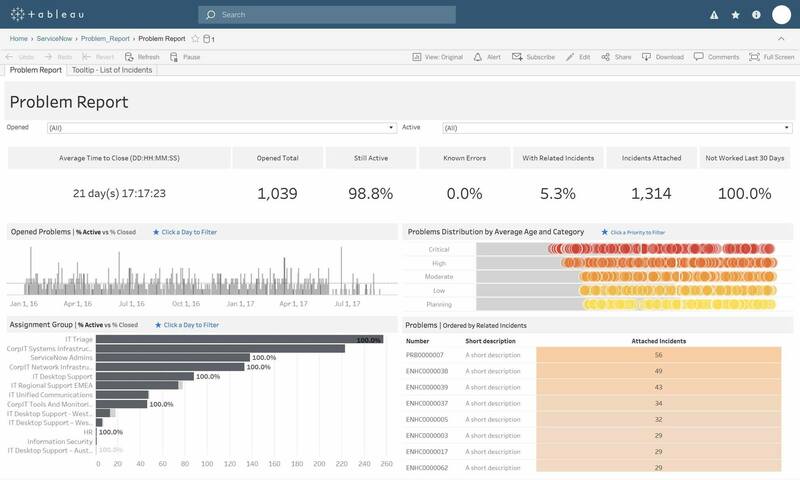 Dashboard Starters are just the beginning of your data exploration. 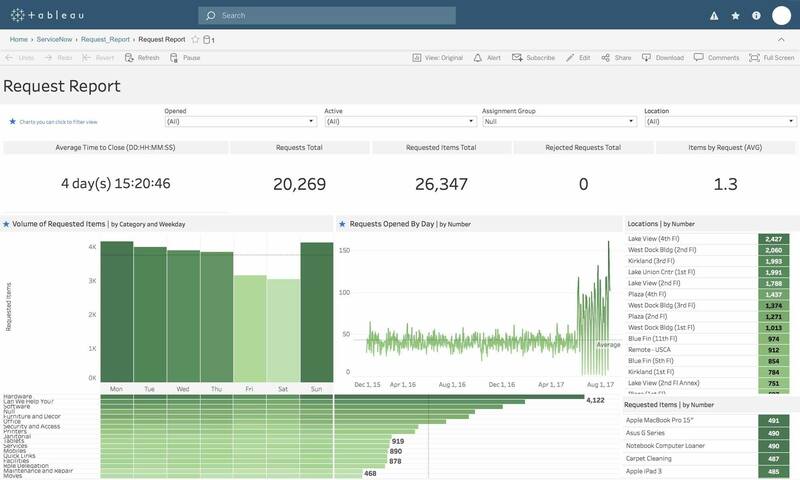 Edit and customize to ask additional questions of the vast trove of data collected by Marketo. No matter the industry, technology and IT are at the heart of most companies. IT is not only vital to the smooth operations of the business today, but also the future success of the company. 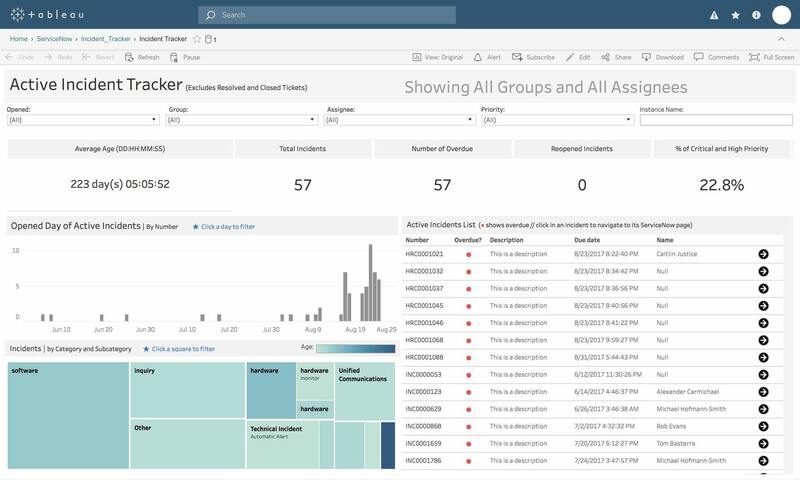 With ServiceNow Starters, you’ll be able to seamlessly pull all of your ServiceNow IT Service Management data into Tableau, complete with pre-built dashboards ready for action. 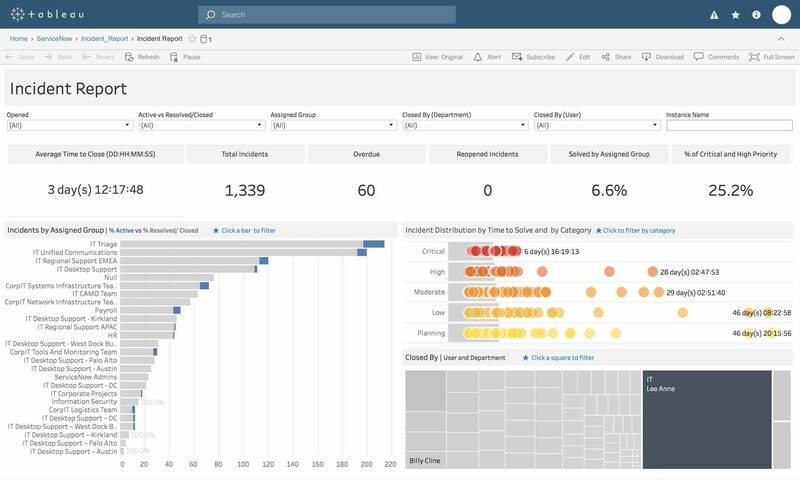 If you need a high-level vantage point of the health of the entire department or a granular view of specific incidents, a dashboard is ready and available with your data. 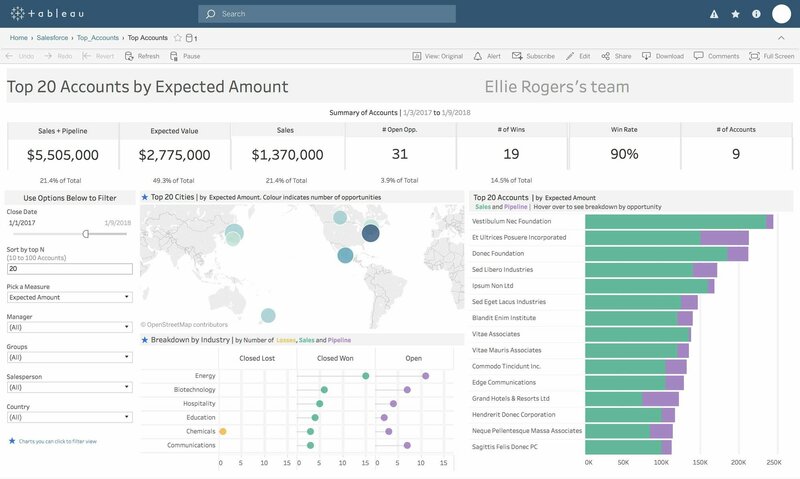 Without Tableau, we would be stuck analyzing enormous amounts of data in spreadsheets. 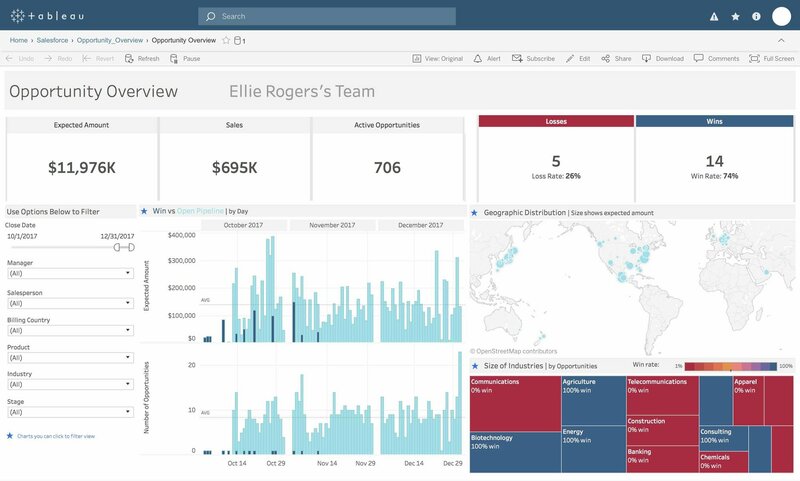 Instead, we create dashboards that provide clear actionable insights, and that drive the business forward.